Have you started training your pup? You need high quality equipment then! The presented bite builder is crafted for training young dogs as the auxillary device to develop strong grip and its better position. The product is lightweight and easy-to-care for. Besides, it's very convenient for a helper to coduct training with: there are 2 flexible side hanldes and a hard internal one that serve to control the dog's movements better. 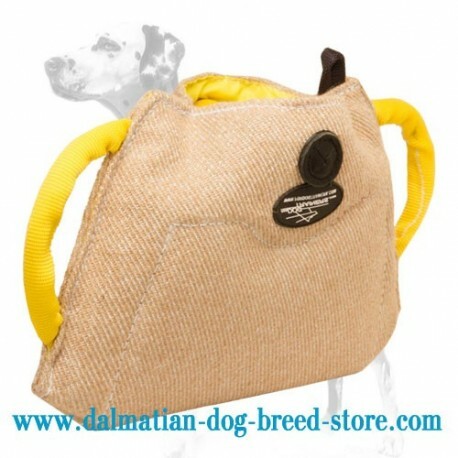 Jute material, this bite builder is made of, is safe for dogs and perfectly withstands regular tugging. Get it right now and very soon you'll see amazing results! What are the main advantages of this Dog Grip Builder? 2 soft handles and a plastic one inside the item allow the trainer to diversify the sessions and feel total control. 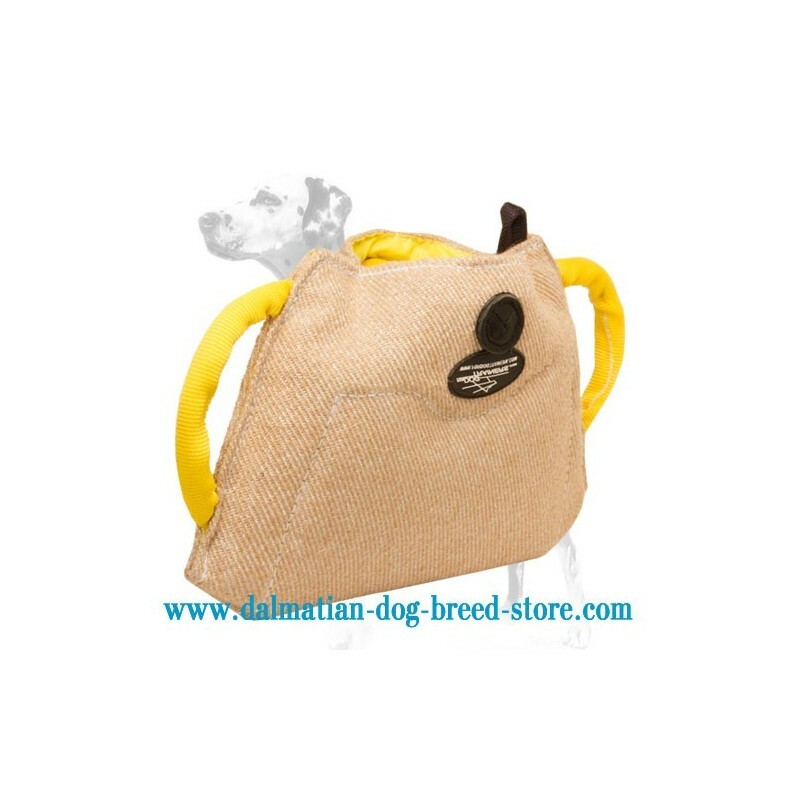 It is made of Jute, that is 100% non-toxic and health-safe material. 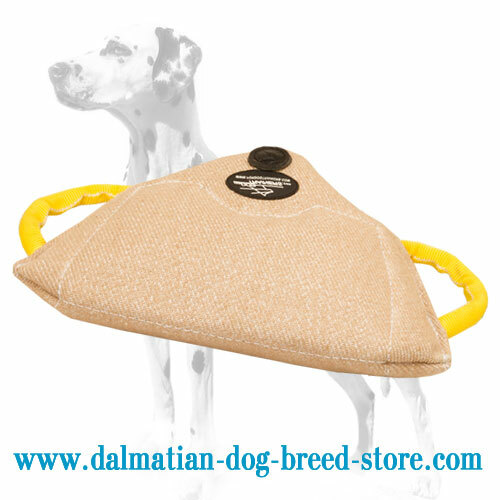 Notice also, this product is made in accordance with the advice of the world's leading dog experts, so while training with this gear, your dog will achieve excellent results without any harm. This dog bite builder is considered to be one of the most recommended ones among dog trainers, so don't miss the opportunity to get it right now!